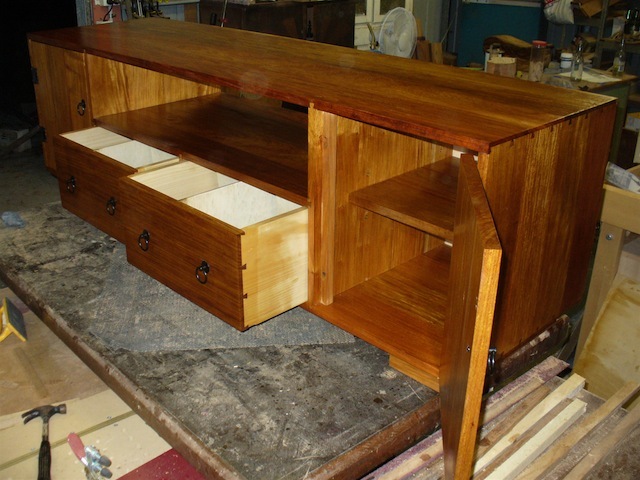 This is after all a woodworking website.. So… here is a few shots of the latest project to leave the workshop of Lazy Larry Woodworks.. 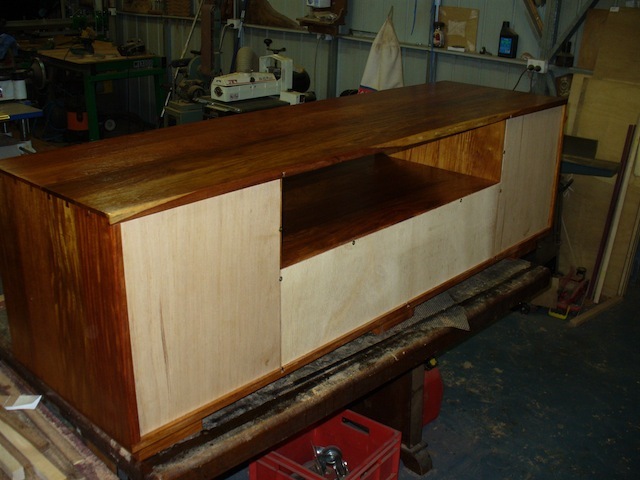 This entertainment unit was constructed of New Guinea Rosewood.. [pteracarpus indicus] using primarily dovetail joinery..This was accomplished by using the Leigh D4R dovetailing jig with a Makita 3612 1/2 inch router . 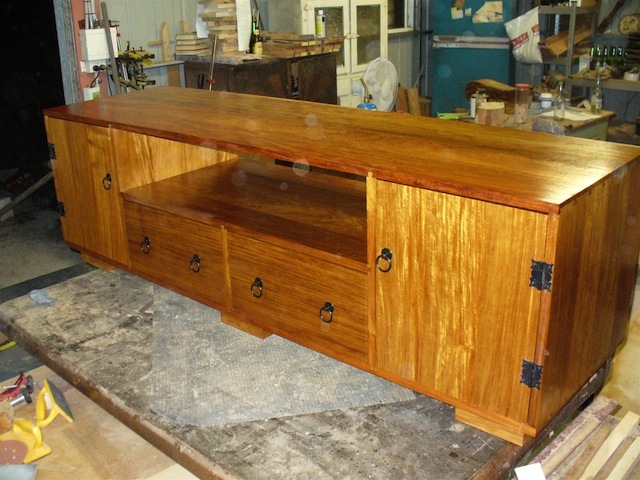 The entire unit was sanded to 240 grit and finished with several coats of Tung Oil Finish. 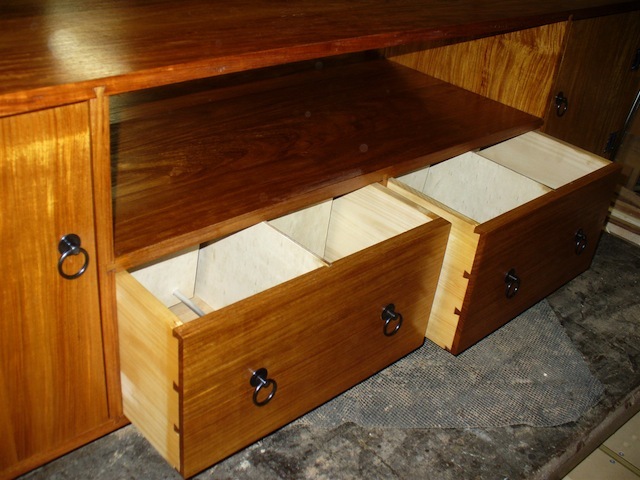 This entry was posted in General, project and tagged entertainment unit, project. Bookmark the permalink. Muy bueno , Senor ! 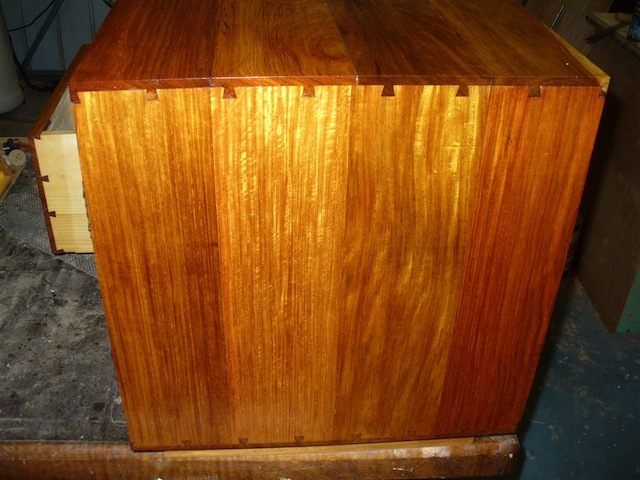 I love the New Guinea Rosewood!